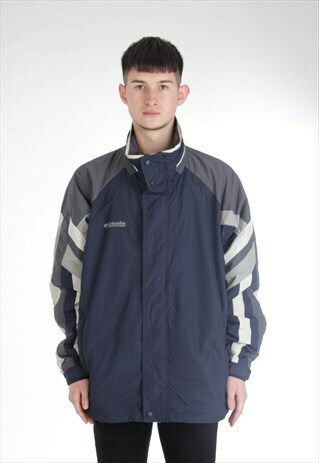 Vintage Columbia Sportswear zip up coat. ONE OF A KIND. Very nice detailing. Model is around 6ft tall. Grab a huge steal! (Please note: all our items are vintage and may show signs of minor wear, however anything else will be mentioned in the description above). Has been used previously, however shows no real signs of any wear to it.